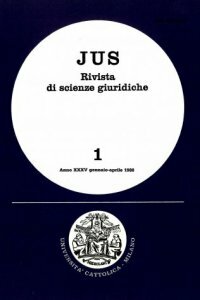 Enzo Balboni, professore di Diritto costituzionale nell’Università Cattolica del Sacro Cuore di Milano, ha scritto monografie e saggi di diritto pubblico, amministrativo, comparato e di storia costituzionale, con particolare attenzione alle autonomie politiche, territoriali e sociali. Amico e collaboratore del Rettore Giuseppe Lazzati, ha potuto godere della stima e amicizia di Dossetti, essendogli vicino negli anni delle battaglie (1994–1996) per la ‘difesa attiva’ della Costituzione. 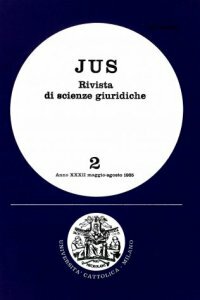 ABSTRACT: The essay is meant to suggest the major fi elds of interest of the long and largely appreciated scientifi c work of professor Pastori. They are: an idea of a non authoritative administration fully modelled not solely by the rule of law but by the social ends of a pluralistic and democratic Republic; a participated procedure and full expansion of social and political autonomies, especially at the regional level. SOMMARIO: 1. 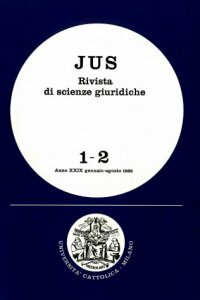 Tre idee forti del pensiero giuridico di Pastori – 2. La formativa esperienza interdisciplinare dell’ISAP – 3. Vocazione alla mediazione e professionalità docente – 4. Pluralismo, autonomie e un’amministrazione non autoritaria ma partecipata. The Author shares the opinion, expressed by U. Pototsching, that «teaching is a different job»; it means that the school cannot be considerate as a public service like all the others. There is a duty to respect the young when they are growing up in the context of the precious but fragile educational relationship that arises between the teacher and the pupils, wich requires the freedom of teaching; it means, first, that the freedom of teaching cannot be regarded in an merely «individualistic and liberal» way. It means, secondly, that the freedom of the teacher is of the same type of the liberty of the student - that obtained, for this reason, constitutional protection - because of the particular way the student collaborates to his learning. The school promotes the development of the society and the flourishing of the self; for this reason, an open and pluralistic school - the «school of autonomy» - find its guarantees and protection in the Constitution. This was what Pototsching defines a community with peculiar rules whose task is to promote the full development of the personality of the pupils.